Originally a working-class neighbourhood, Bridgeland is now a lively, bustling inner-city community. The community on the Bow just northeast of downtown hasn’t always been known as Bridgeland, but it’s always been bustling. Back when the neighbourhood was originally settled in the late 19th century, Bridgeland was named Germantown due to the influx of Russo-German immigrants looking for an affordable place to live away from the city proper. Soon, Ukrainians, Poles and Italians also gathered in this area, and, as Germantown became more cosmopolitan and diverse by 1908, its name was changed to Bridgeland. Bridgeland is one of Calgary’s oldest inner-city neighbourhoods, yet it retains its close-knit, small-town feel without losing its energy. 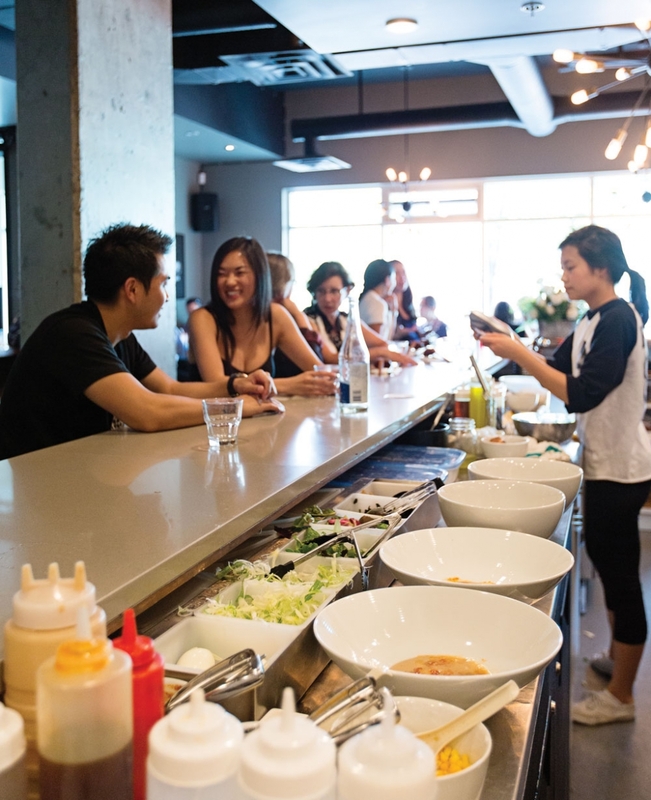 People have always flocked to the area and the growth isn’t stopping yet: new restaurants and condos continue to spring up in and around where the General Hospital once stood, making it a neighbourhood that’s perfect for experiencing both old charm and new trends. Measuring just 320 square feet, Burger 320 has 11 creative burgers on the menu, all of which have a thick beef patty and are served on a branded brioche bun. Throw in a side order of fresh-cut fries with sea salt or mushrooms with truffle aioli. Note that this business is cash only, so come prepared. Owner Rocco Cosentino went all the way to Italy to learn the secret behind making the perfect pizza. Now LDV Pizza Bar boasts authentic, thin-crust pizzas straight from a wood-burning oven. Designed to have a comfortable, rustic interior, this is a casual spot to grab a slice upstairs from La Dolce Vita. Arrive early and be one of the lucky few to taste the ramen here. Serving just 150 bowls each day, Shiki Menya is focused on quality: all the noodles are handmade, all the soups are made entirely from scratch and all the meat is sourced from local farms. An independent shop that opened in the late spring, Coveted Boutique offers fashionable and contemporary items for women. Find clothes, accessories and beauty products from designers like Ella Moss and Lauren Moshi. 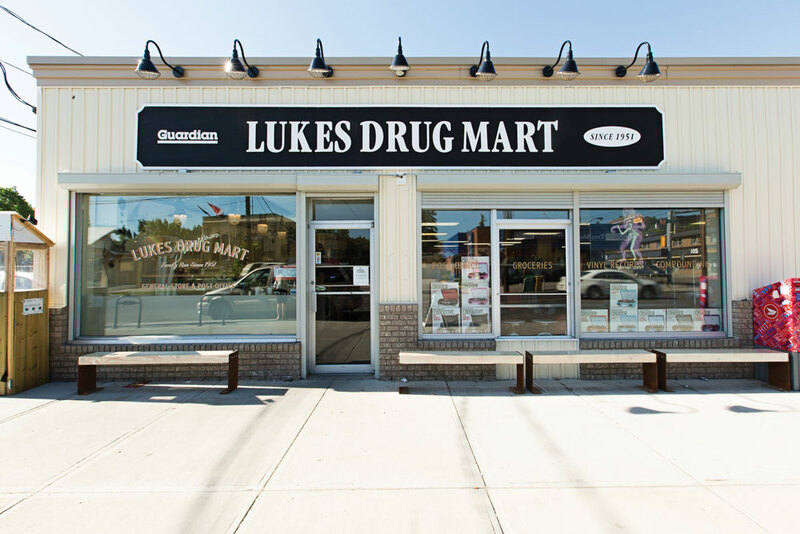 Serving the area since 1951, Lukes is an independent, family-run drug store selling hard-to-find niche brands. In addition to the expected products like shampoos and pharmaceuticals, shoppers can also find Mast Brothers treats, specialty Four Barrel coffee from San Francisco and even home-brewing kits. And let’s not forget the vinyl records. Modern style meets vintage fashion at Sister’s Home. Fashionistas can find clothes and jewellery from international designers from New York and Miami, as well as local lines from Calgary and Bragg Creek. Calgary added another farmers’ market to its collection this past summer. 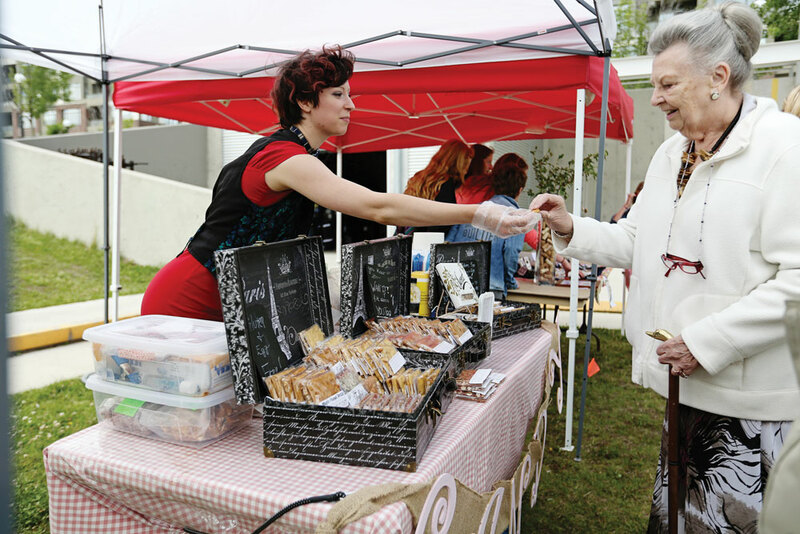 The seasonal Bridgeland Farmers’ Market opened in June last year (running Thursdays, June 19 to Oct. 9) and is home to a variety of food vendors, artisans, musicians and workshops. This resident-led initiative was launched this past summer during the community’s annual Bridgeland Days event and encourages the sharing of resources. For a $40 annual membership, anyone in Calgary can head down to the library and borrow as many of the 200 tools as they need to get their DIY project done. Walk along 1st Avenue N.E. and you might just stumble upon an art gallery. That is, a tiny gallery of tiny artwork. The project, conceived by Peter Meadows and Devon LeClair, helps local artists by making their artwork accessible. All work is contained in a 45-cm by 45-cm by 60-cm “gallery” space. Look for tiny art galleries outside Lukes Drug Mart, Baya Rica Caf and the Bridgeland Market. Bridgeland is a desirable community to live in, and not just because of its proximity to downtown, the Calgary Zoo, the Telus Spark science centre and the city’s bike and walking paths. It’s also a close-knit, family-friendly community. Morgan Micay, event director for the Bridgeland Riverside Community Association, says the community holds a range of events all year long, including an annual family Halloween party, various recreational sports games and a caroling evening at Christmastime. Bridgeland is also involved in the Little Free Library, a book-sharing project involving local residents. There’s already lots happening in this neighbourhood, but there’s lots more to come. The community has plans for a new summer street festival, with the inaugural event slated for summer 2015. For those who can’t wait until next summer, another new project will be unveiled in just a few months. A new sports area, complete with an outdoor skating rink (with firepits and bench seating) during the winter and exercise equipment and basketball hoops in the summer, will soon be open. Work on this fitness project, adjacent to the Bridgeland Riverside Community Association Hall on Centre Avenue, has already begun.